To provide a kitchen extension with a roof structure that reduced heat loss from the property. The design had to include the replacement of the existing dining room roof without disturbing the conservatory. 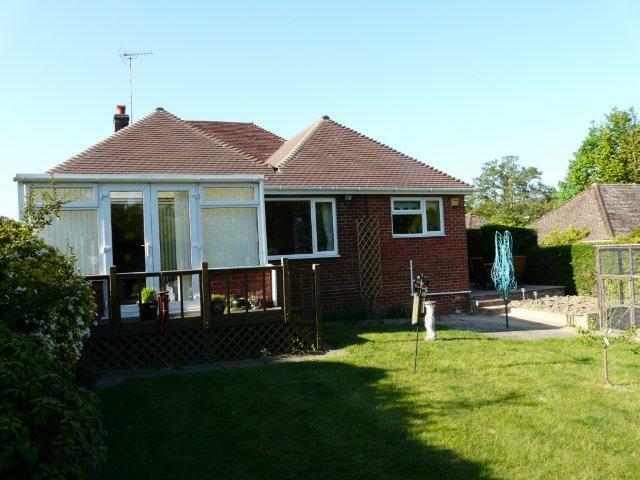 This property suffered from significant heat loss through an earlier flat roof extension which formed the dining room of the bungalow. The client required a kitchen extension and wanted to use part of the original kitchen area to form a small cloakroom and utility area. The design incorporated a double pitched roof over the new kitchen and existing dining room, which had to be designed so that it did not disturb the existing rear conservatory. The project involved obtaining planning permission and building regulations for the works.